﻿In what is believed to be the largest epigenetic analysis to date of cell-signaling molecules in early-stage melanoma, researchers have identified two tiny bits of non-coding genetic material in primary tumors that appear critical to stalling the cancer's spread - and essentially setting the biological fate of the disease. Reporting in the Journal of the National Cancer Institute, researchers say that pinpointing these so-called "microRNAs" - known as miR-382 and miR-516b - could provide the basis for future medical tests that identify those melanoma most likely to spread and kill. In fact, the team that led this study has already begun a follow-up clinical study to see if any microRNAs have a similar prognostic value in identifying melanoma patients whose cancer is more likely to spread to the brain. 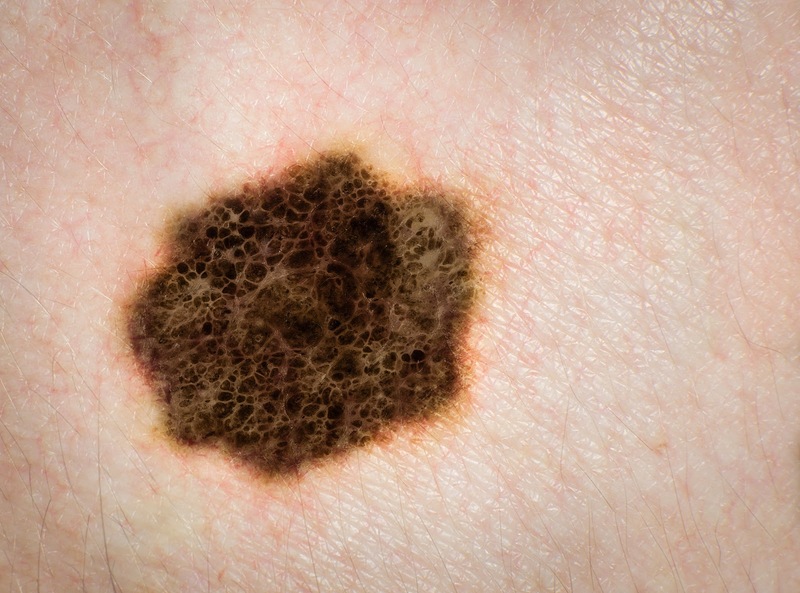 Nearly half of people who die from melanoma succumb from its spread to the brain, they note. MicroRNAs are epigenetic factors, chemical cousins of DNA that help regulate gene function. But unlike other kinds of RNA, microRNAs do not get translated into specific proteins. Detection of the suppressor microRNAs emerged from the analysis of more than 800 of them found in tumor tissue samples from 92 men and women with melanoma. Some 48 of the patients had aggressive cancer, while the rest did not. Tumor tissue samples were provided by patients who agreed to donate their specimens to a research database. Based on material originally posted by NYU Langone Medical Center / New York University School of Medicine.